The Ischgl Ski Paradise extends both on Austrian and Swiss area, the border being somewhere in the middle of the ski tracks. 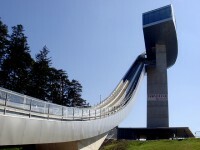 The total length of the slopes is 235 km, the cableway installations are numerous and modern. Due to the altitude and favorable weather conditions, Ischgl is recommended for both novice freeriders, and the brave ones. There is one of the best snowparks for snowboarders in Europe, equipped with halfpipe, jumps and more. 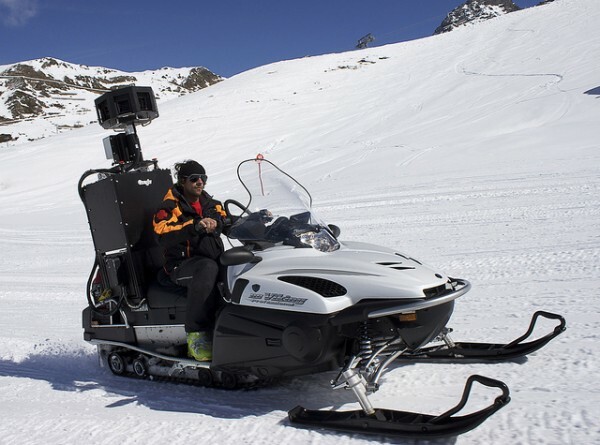 The region also has specially designed areas for carving trails and a toboggan run of 7 km. The resort is also famous for the “open air” mega-concert held in the middle of the winter season with the most worldwide famous pop music bands. Most of the ski area of the Ischgl Ski Paradise is between 2000 m and 2782 m so the ski season begins in November and ends in May. 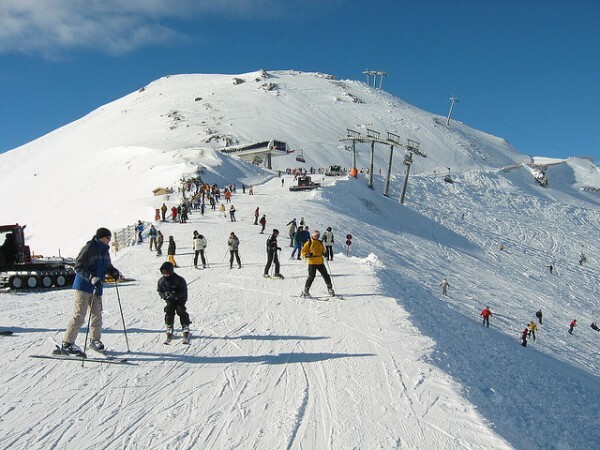 Internationally Ischgl is the second destination in Austria after St. Anthony. In terms of prices is considered to be a quite expensive resort. It is suitable for families and meets all needs of every skier. The sledding lanes are lit and well maintained – the track has a length of 7 km with an altitude difference of 950 m.
There are many things that you can do in the Ischgl Ski Paradise including night sledding, ice climbing, curling, walking in the snow, staying in the relax center with indoor pool, sauna, steam room, bowling and tennis. 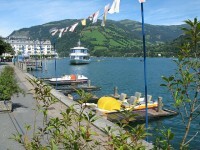 You can find a wide range of low-cost apartments in the outskirts of the resort, such as the village of Kappl. It has its own network of six ski lifts and is at 6 km from the Ischgl ski resort. In the resort the accommodation is quite expensive. 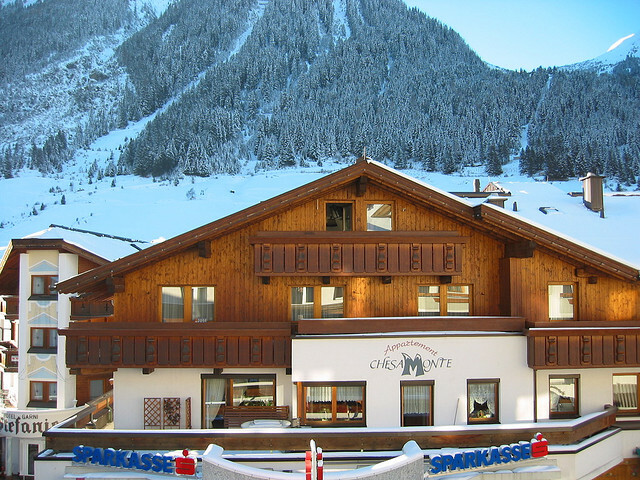 The Ischgl Ski Resort has a variety of different restaurants, from the traditional Mexican food to pizza: Salz and Pfeffer, Grill Alm, La Bamba, Goldener Adler, Trofana Alm, Kitzloch (for fondue). Pardorama is a giant glass and steel complex, located at the top of the Pardatschgrat cable car and has a restaurant serving regional Austrian specialties and a cafeteria. La Marmotte in Alp Trida has a menu rich in fish and pasta dishes. Paznaunerstube in the Trofana Royal Hotel is one of the top restaurants in Austria with the famous chef Martin Sieberer. The Kiwi Bistro opposite the church is comfortable and significantly less expensive than most of the restaurants. La Nona in the Nikolaus Hotel has a very good pizza, the Eggerstuberl has a specific Austrian air and is famous of its Austrian kitchen, while Salner has some of the cheapest meals in town. Ischgl has the best après-ski in the Alps, a wide range of bars and nightclubs and special events for the season: Pacha Nightclub and Coyote Ugly (Hotel Madlein), Feuer & Eis, Kuhstahl, Allegra Bar, Down Under, Kitzloch, Fuchsloch, Tenne and the Schatzi Bar (Hotel Elisabeth).